Do you know this problem, too? You are pasting a greyscale image into the alpha channel of an 8-Bit image in Adobe Photoshop and the pasted result is ugly dithered! There is a solution for this issue! 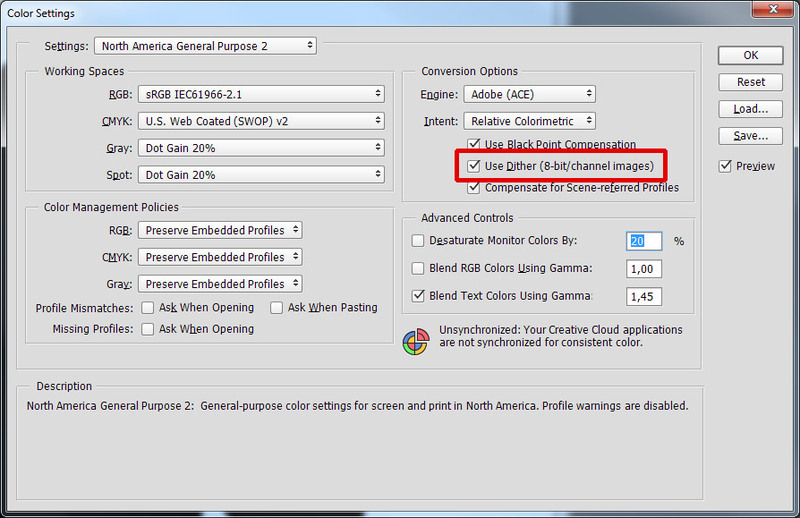 Go into Photoshops Color Setting and disable the “Use Dither (8-bit/channel images). And voilá: Your result is clean and as prepared.